Many first-time travelers who create a packing list for Costa Rica simply aren’t aware of the most important items! Whether it’s bug spray, quick dry clothes, or reusable water bottles, there’s a number of things you don’t want to forget. The following insider list of things to pack for Costa Rica will keep you prepared and traveling light for any type of Costa Rica itinerary, whether it’s a family vacation, honeymoon or remote adventure. In the end, it’s best to bring enough clothing that you can layer up or down as needed. During the day and under the sun it could be hot, and at certain elevations (especially at night) it can be cooler. Basic First Aid Kit – adhesive bandages, gauze & adhesive tape, elastic bandages, antiseptic, cotton swabs, disposable gloves, tweezers, scissors, antifungal and antibacterial ointments/creams, 1% hydrocortisone cream, anti-itch gel/cream for insect bites and stings, aloe gel for sunburns, pain or fever medication, stomach upset /diarrhea medication, respiratory medication, anti-motion sickness medication, medication to address allergic reactions, moleskin for blisters, digital thermometer, saline eye drops, first-aid quick reference card. Electronics – Bringing electronics is ALWAYS a risk! Cell phones do work in Costa Rica – However, there are large international fees. 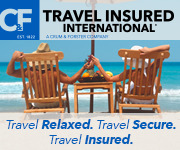 Travelers can easily buy a calling card in Costa Rica and can call families from their hotel and/or homestay. Calling cards are very reasonably priced in Costa Rica. Cameras – You will definitely want to remember this experience for the rest of your life. You can bring digital, disposable, or other film cameras…but at your own risk! Computers – Wifi is accessible in many locations throughout Costa Rica; however, theft is also prevalent throughout Costa Rica. There are security boxes within many hotel rooms, but sometimes not large enough to fit a laptop. Tip: If you do choose to bring electronics, store them in a waterproof container/ziplock bag. It rains in Costa Rica, and you will most likely be caught in the rain without warning at least once. Electrical outlets are the same as the US. Don’t forget charges and/or memory cards.